Pen and brown ink, with gray wash, over black chalk, on paper; double-ruled border in pen and brown ink. Signed(?) 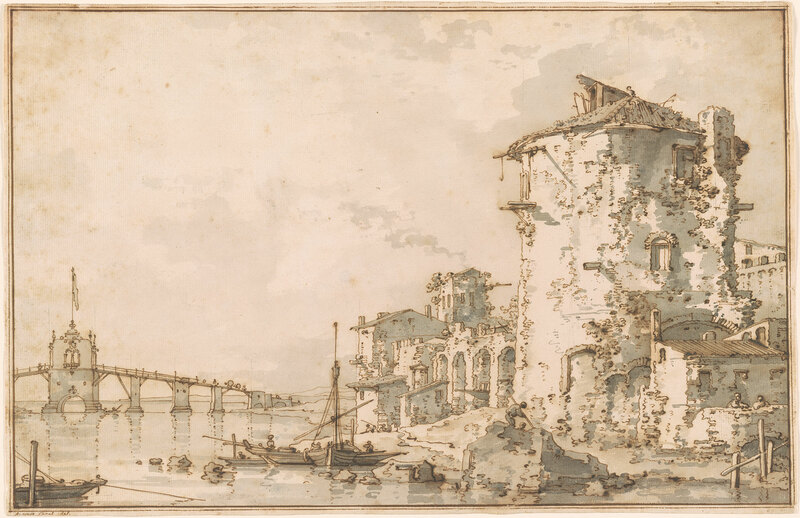 by the artist at lower left, in pen and brown ink, "Antonio Canal del". Marquis of Lansdowne; his sale, London, Sotheby's, 25 March, 1920, lot 14, repr. (to Ellis & Smith for £200); private collection, France; private collection, Washington, D.C.; acquired from E.V. Thaw and Co., New York. Watermark: letter IV (cf. Churchill 425).